As you've seen, the CW premiered Black Lightning already, while coming up in late February, March and April, we have a few other series premiere dates to focus on. Black Lightning already premiered on Jan. 16.
iZombie premieres on Feb. 26. Life Sentence series premiere on Wednesday, March 17. Dynasty on Friday, April 20. The 100 will take the slot of Black Lightning on April 24. Ellen’s Game of Games already got a second season renewal from NBC. TNT has ordered to series Snowpiercer, a show based on the 2013 movie of the same name, that starred Chris Evans. The series (and movie) were set in a time after the world has become a frozen wasteland. This huge train which houses this bit of humanity, is it's own social system, as it circles the globe. In the story, class warfare, social injustice and the politics of survival are some of the issues presented. It will star Jennifer Connelly, Daveed Diggs, Mickey Sumner, Susan Park, Benjamin Haigh, Sasha Frolova, Katie McGuinness, Alison Wright, Annalise Basso, Sam Otto, Roberto Urbina, Sheila Vand, and Lena Hall. 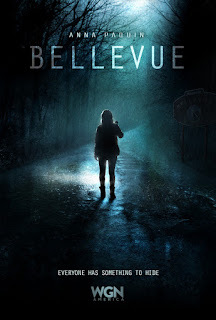 NEW SERIES TUNE-IN REMINDER** "Bellevue" starring ANNA PAQUIN on WGN America. Have you seen this yet? The gripping and eerie original series “BELLEVUE” is set against the backdrop of a small town with big secrets. Twenty years ago, the murder of a young woman traumatized the community of “Bellevue.” Now, the killer is back. Or is he/she? When a high school hockey star, who is wrestling with his gender identity, goes missing and all signs point to foul play, Detective Annie Ryder (Anna Paquin) must unravel all the pieces to this gripping mystery before her own life falls apart. As the case pulls her further away from her family, she is also confronted by a mysterious person from her past with disturbing answers to lingering questions and a terrifying need to play mind games. Along the way, Annie must navigate a complicated relationship with her on again, off again ex, Eddie (Allen Leech) and her boss on the force, Chief Peter Welland (Shawn Doyle). The eight-episode, one-hour series stars Academy® and Golden Globe® winner Anna Paquin (“True Blood,” “Roots”) as Detective Annie Ryder; Shawn Doyle (“House of Cards,” “Fargo”) as Police Chief Peter Welland; and Allen Leech (“Downton Abbey,” The Imitation Game) as Eddie Roe. In addition to Paquin, Doyle and Leech, rounding out the “Bellevue” cast are Madison Ferguson (“The Stanley Dynamic”) as Daisy Ryder; Sharon Taylor (“Ghost Wars,” “Supernatural”) as Virginia Panamick; Billy MacLellan (“Defiance,” “12 Monkeys”) as Brady Holt; Vincent Leclerc (“Being Human,” The Revenant) as Tom Edmonds; Janine Thériault (“Degrassi: The Next Generation,” “Being Human”) as Mother Mansfield, the Mayor of Bellevue; Joe Cobden (“The Art or More,” “Blindspot”) as Father Jameson; Victoria Sanchez (“Tom Clancy’s Jack Ryan”) as Maggie Sweetland; and newcomer Sadie O’Neil as Jesse Sweetland. Paquin also serves as an executive producer alongside co-creators and showrunners Jane Maggs (“The Offering”) and Adrienne Mitchell (“Bomb Girls,” "Durham County”), and executive producers Janis Lundman, Michael Prupas, Morwyn Brebner and Jesse Prupas. 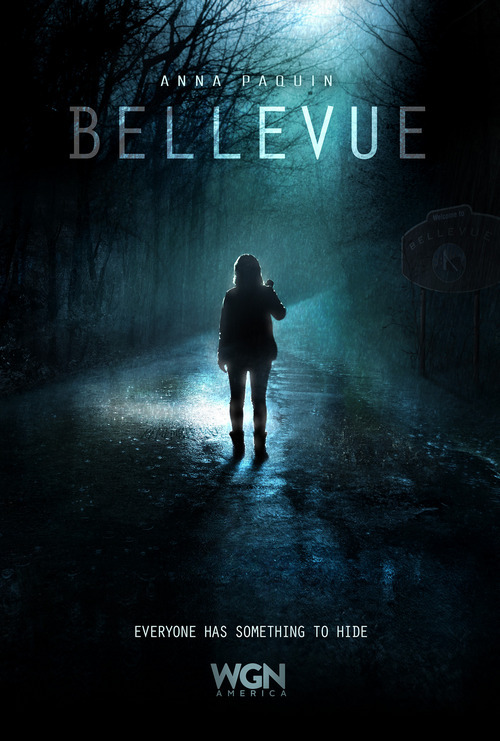 “Bellevue” is produced by Muse Entertainment and Back Alley Film Productions. The U.S. premiere of “Bellevue” follows the series’ lauded debut on Canada’s CBC. In an earlier post, I had made cautionary note of how TNT was marketing the living crap out of The Alienist during almost every commercial break on a show I was watching. Which seemed a bit unfair to the show I was watching. But be it as it may, it seems that my worries, that being - if someone is over marketing a show, something has to be up, well, it seems so. Indie Wire: The Alienist Review: TNT Series Is a Wannabe True Detective that no one needed. And so forth. A peer of mine said he had it on in the background and the first episode was your typical type of show where all the characters were introduced. It seems like I did not miss much! Did anyone else out there see this?